Professional paintwork to a residential exterior creates a visual impact. Whether updating your street appeal, refreshing a tired façade or just been built, we work on your home with only quality, environmentally friendly materials to achieve a long lasting finish. We understand how exciting and sometimes stressful it can be to redecorate or build your own home. 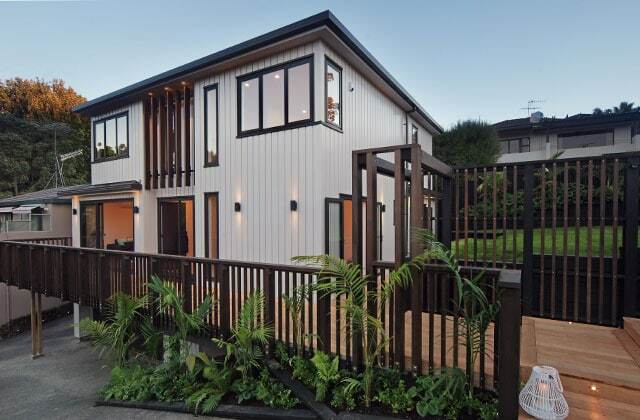 PaintCo has had the privilege of transforming some of Auckland’s most exclusive and beautiful homes, working closely with their owners, providing advice and open communication throughout the process. A member of Master Painters, PaintCo work to high quality standards and are backed and guaranteed. We place importance on Health and Safety and protection of property; our team members are screened by the NZ Police and follow NZ H&S Standards.